The story of the greatest player on the planet continues. 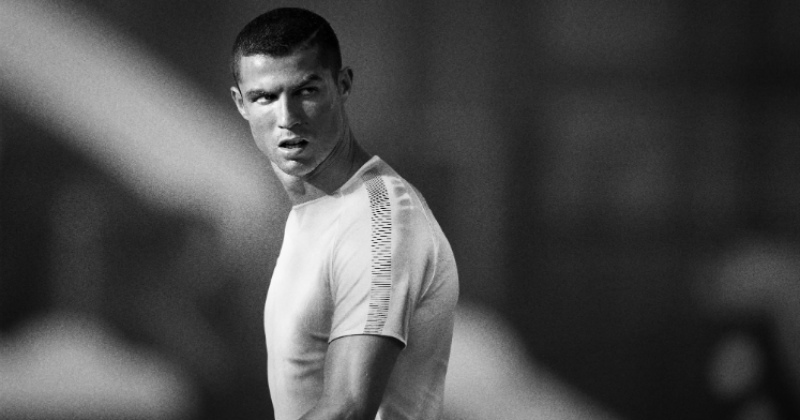 Chapter 5 in Nike’s Cristiano Ronaldo collection is finally here, with a design that harkens back to his record-breaking move to Real Madrid. Cristiano Ronaldo. It’s a name that simultaneously sends shivers down the spines of rival fans and brings smiles to the faces of those in Madrid. After breaking record after record, winning multiple Ballon d’or titles and now securing back to back Champions League trophies- it’s not hard to see why Ronaldo is without doubt the most feared player on the planet. Just the sight of him striking his famous “free-kick pose” is enough to make defenders a little weak at the knees, while the last thing any goalkeeper wants to see is the sight of him bearing down on goal. With lethal finishing, blistering pace and a sheer abundance of power, Cristiano Ronaldo has transformed from a little kid from Madeira into the greatest footballer of all time. So, it’s only natural that Nike would go ahead and create a collection of signature Mercurial boots just for him, which map out the highlights of his illustrious career within their design. This seven-part series tells us the incredible story of Cristiano Ronaldo and his rise to stardom, as he continues to thrive at the very highest level for Real Madrid. Chapter 1 of the collection came with a beautiful lava-inspired design, as Nike began the story with a nod to Ronaldo’s birthplace- the volcanic Portuguese island of Madeira. 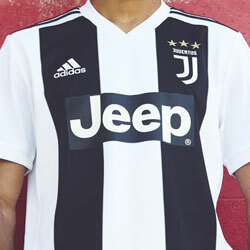 Chapter 2 paid homage to his move to Lisbon at the age of 12, while the 3rd entry in the collection featured the colours of Sporting Lisbon as he broke into the first team and set on his road to stardom. 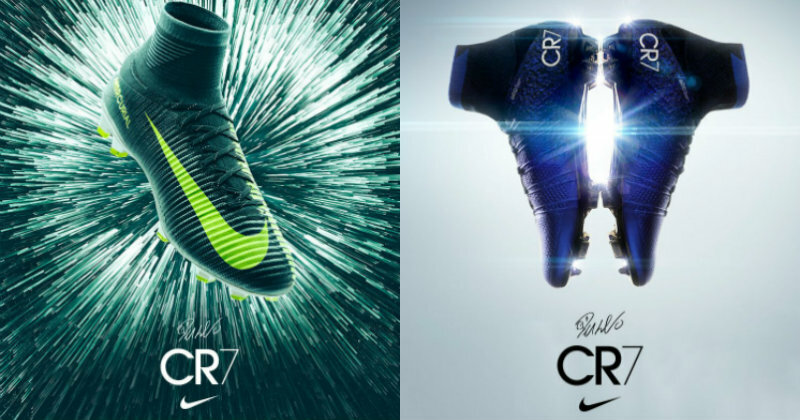 Each of these boots featured small details throughout their design that emphasised Ronaldo’s ability to stand out on the pitch and shine brighter than everyone else. With neon accents and sparkling colours, Nike certainly haven’t failed to highlight his ability to dazzle and sparkle in the early parts of his career. Chapter 4 in the collection represented the forging of one of the greatest footballers to ever play the game, harkening back to when Ronaldo joined Manchester United. Under the guidance of Sir Alex Ferguson, Ronaldo became the best player on the planet, as he was moulded into the athlete and true competitor he is today. 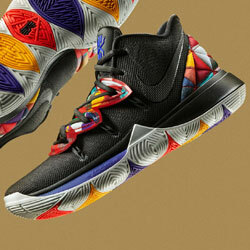 Well, now it’s time for the next part of the tale, and Nike have gone ahead and unleashed Chapter 5. After winning the Champions League, multiple Premier Leagues and a shed-load of other titles at United, the time came for Fergie to finally sanction Ronaldo’s dream move to Real Madrid. Signing for a world-record fee of £80million (which looks like an absolute bargain when compared to the current transfer market), Cristiano Ronaldo wasted no time at all in establishing himself as a true great of Los Blancos. 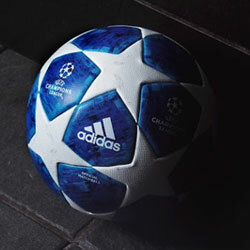 Wowing the Bernabeu with his skill and power, Ronaldo would go onto become the greatest player in Real Madrid history. As the all-time leading scorer in the Champions League and Real Madrid’s own scoring charts, it’s really not hard to see why he’s coveted so highly in Spain’s capital. 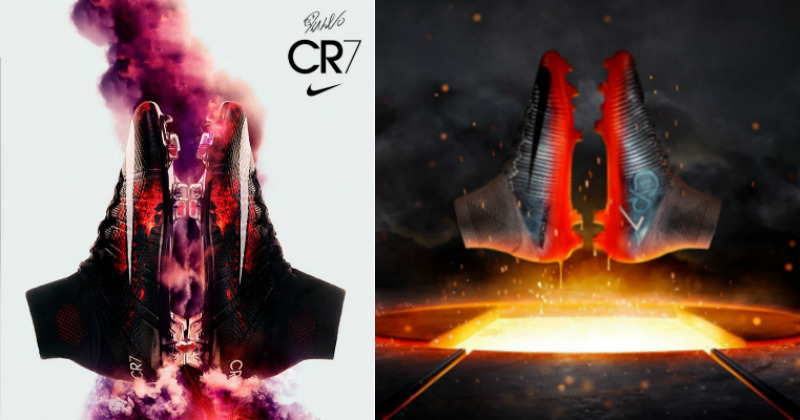 The new Nike Mercurial Superfly V ‘CR7 Chapter 5’ boots- which are also known as ‘Cut to Brilliance’- are all about honouring Ronaldo’s unbelievable success for Real. 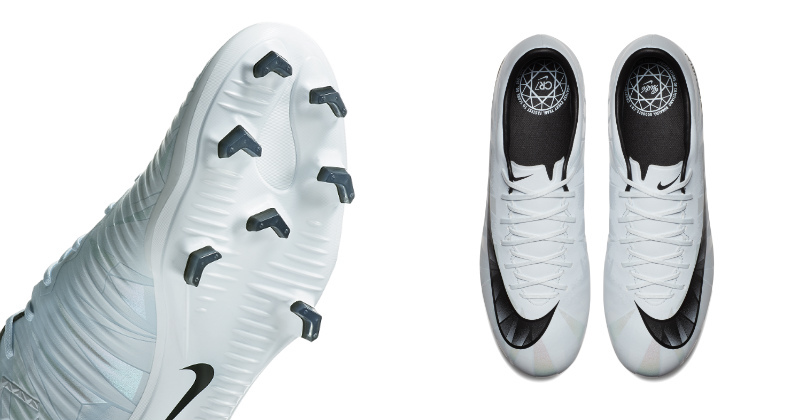 Incorporating a stunning white and light blue colourway, it’s fairly clear to see the influence of Madrid on the design of these boots. 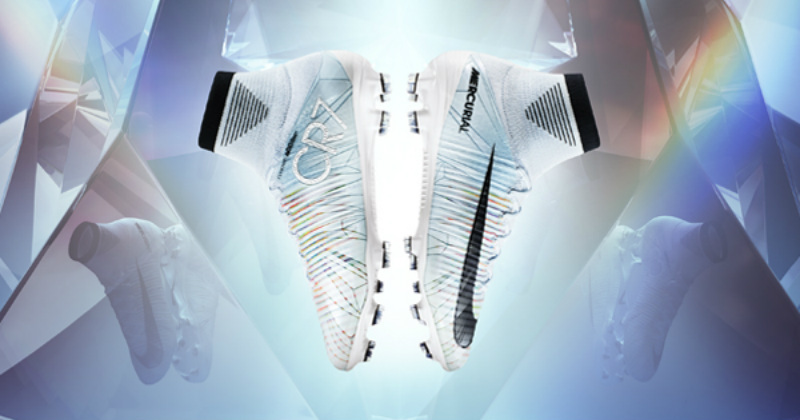 As with the other boots in the collection, they feature the iconic “CR7” logo on the side, while sparkling blue tints run alongside black accents to create an eye-catching diamond theme. Although it might sound a little cheesy, these boots show Ronaldo as the sparkling diamond in La Liga that he really is, while the unique Flywire string design emphasises the fact that there’s not a player quite like him anywhere else on the planet. 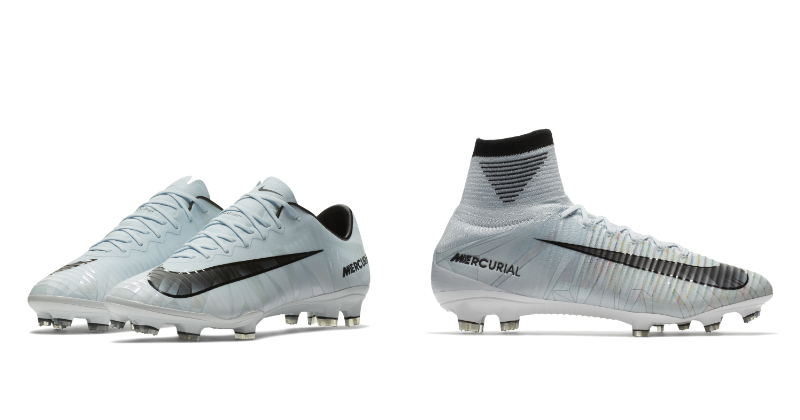 The Mercurial Superfly V takes advantage of some of the very latest football boot technology, using a Flyknit upper for enhanced fit and comfort. A perfect football boot for winger, the new Chapter 5 boots feature textured ribs for incredible ball control, while also making use of the Ultralight 3D Speed Plate to utilise explosive speed. 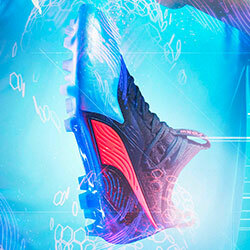 In short, they’re perfect for one player in particular- Cristiano Ronaldo. The boots will be officially released and available to purchase next week, and we expect to see Ronaldo sporting these at the Bernabeu as the October fixtures get underway. Matching the white and blue of Real Madrid’s home strip, we can’t wait to see them in action when the La Liga title race hots up! 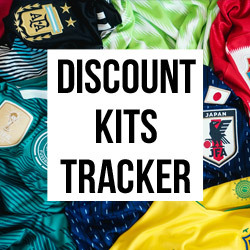 If you’re looking to get your hands on a pair of these absolute stunners, then you’ll be pleased to know that FOOTY.COM compare prices on football boots across the internet. Shop with us today to get your hands on your favourite pair and keep some change left in your pocket!